I’m a big fan of thrifting. You get the quality of designer clothing at a reasonable price, and by recycling former-owned items, you can celebrate the environment as well as fashion. I can definitely vouch that pre-loved designer items have treated me well. However, there is perhaps one downside: the thrill of the thrifting hunt requires a measure of patience. Luckily, if you don’t have time to comb through your local Goodwill or flea market, there are tons of online designer consignment stores that will do the digging for you. 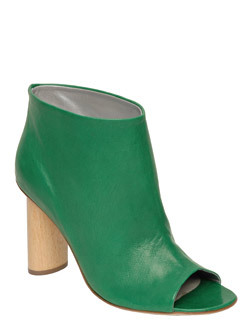 One of our favorites is Covetshop.com. Launched just over a year ago by a fashion industry vet and her graphic designer husband, Covet specializes in designer finds from names like Chanel, Zac Posen, and so on and so forth. 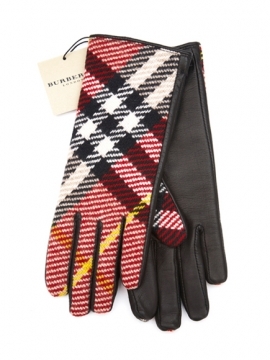 The store offers pre-loved clothing, shoes, bags, and accessories, including these brand new Burberry plaid gloves (only $105! 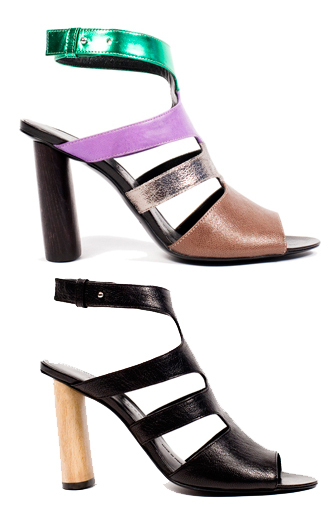 ), which were featured in In Style‘s November issue. Here’s a quick run-down on the fine print: First of all, Covet guarantees the authenticity of each item, and offers an easy return policy (notify them of the return within 24 hours of receiving it, and then return it within 14 days). The store also gives each item a Condition Rating–from 5 to 1 stars–that describes how much love the item previously received. 5 stars indicates brand new with no wear (like the Burberry gloves, these items usually have the original tag still attached), while 1 star items are in fair condition (they likely show flaws that may be cleaned or repaired). We didn’t find any 1 star items posted–all the merchandise seemed to be 5, 4, or 3 stars. Finally, the merchandise changes daily, so if you like what you see, consider signing up for their new product email alerts. 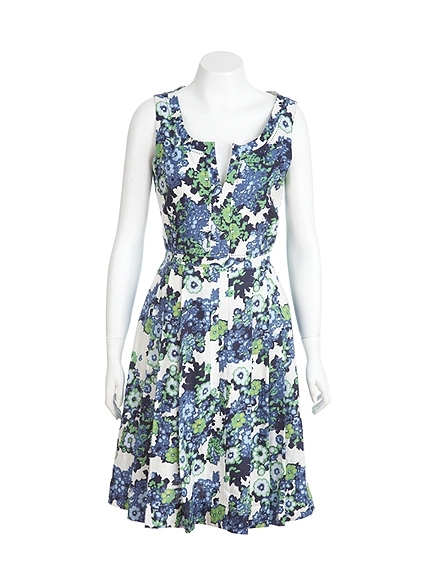 Put this pleated Tory Burch Gardenia Dress, $89.00 (originally $295) to work during the spring or summer wedding season, or pair it with black matte tights, pumps and a cardigan for a great fall office look. 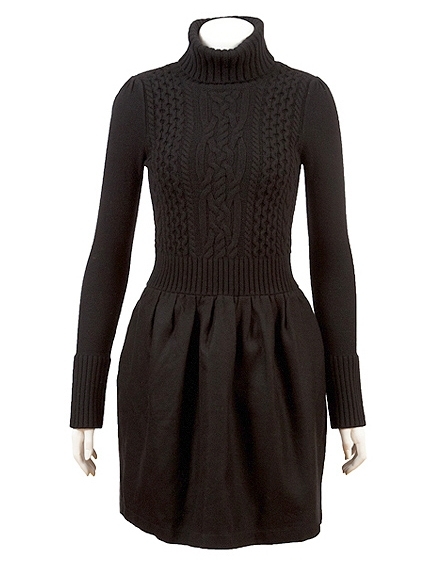 This Fisherman Sweater Dress from Thread Social is a great pick for fall and winter. The turtleneck knit top and wool skirt will keep you cozy and at $235 (originally $680) you’ll be able to keep more cash tucked away for a rainy (or snowy) day. Looking for something for a special occasion? 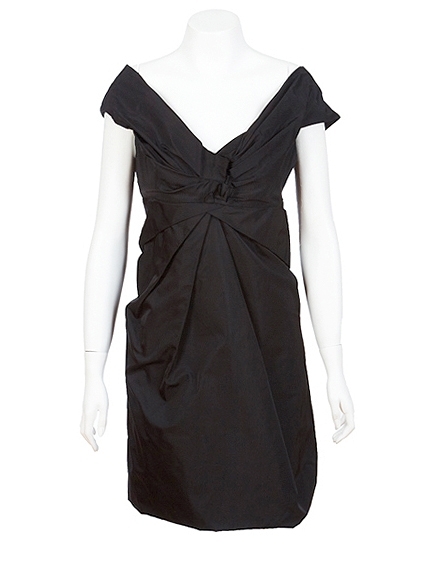 Check out this Ruched Cocktail Dress from Marc Jacobs for $240 (originally $1,200–that’s almost $1000 off!). The black silk is gathered at the front to form a delicate rose detail, while an exposed zipper in the back gives the dress some edge. The off-the-shoulder neckline is very flattering. Whether you visit Covet to shop or window shop, we have the feeling you won’t be disappointed. You know those moments when you’re catching up with a friend or colleague and discover they’re taking a photography class on the weekends, volunteering at the animal shelter after work, and becoming a certified Yoga instructor in their spare time? You suddenly feel like a bum. Well, wait till you hear about Marisa of New Dress a Day, an incredible blog that I have to share. 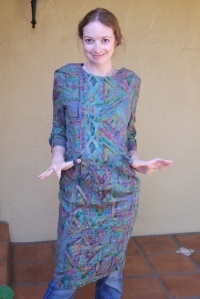 Marisa is undertaking a really cool project–she’s refashioning an old dress a day for an entire year, and she’s doing it for only $1 a dress (each piece comes from the flea market or a neighborhood garage sale). 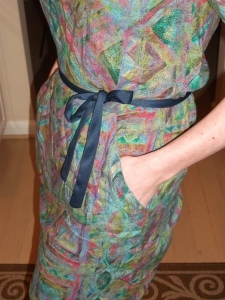 So far, New Dress A Day has given the world 238 refashioned dresses. There are 127 days and $126 left to go. Marisa, I have to say that you’ve made me feel a bit like a bum–but you’ve also inspired me to get my creative juices flowing more too. I admire the creative commitment this project requires, and I’m inspired by the possibilities of recycled/green fashion that you’ve shown us. I’m looking forward to following the New Dress A Day project for the rest of the year. Keep it up!